Thousands of doctors write to Prime Minister Narendra Modi to enforce ban on e-ciggarettes despite the claims that the e-ciggarettes are a safer bet. Doctors allege that such claims are misleading and that Tobacco companies want to hook a new generation on nicotine under the allure of safe smoking. 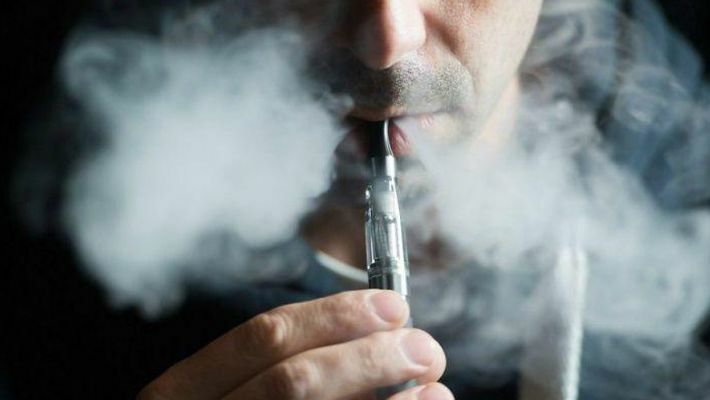 New Delhi: More than a 1,000 doctors from 24 states and three union territories of India have written to Prime Minister Modi to enforce the ban on Electronic Nicotine Delivery Systems (ENDS) which includes e-cigarettes, e-hookah, etc. Doctors expressed their concern that on a public health matter, trade and industry organizations are pitching for the promotion of e-cigarettes. E-cigarettes, also called “e-cigs,” “vapes,” “e-hookahs,” “vape pens,” are “electronic nicotine delivery systems (ENDS).” Some e-cigarettes look like regular cigarettes, cigars, or pipes. Some look like USB flash drives, pens and other everyday items. The doctors were concerned about a media report that 30 organisations had written to the Ministry of IT to prevent the ban on promotion of ENDS on the internet. They wrote that this is a public health matter and commercial interests should not be entertained. On 28th August 2018, the Ministry of Health & Family Welfare (MoHFW) had issued an advisory to all states/UTs to ban ENDS. This March 2019, a panel of health experts appointed by MoHFW submitted a report in which 251 research studies on ENDS were analysed. The Panel concluded that ENDS is as bad as any other tobacco product and is definitely not safe. He further said e-cigarettes should not be promoted as a safe alternative. The only way is to completely quit smoking and not initiate use of any tobacco product. Tobacco companies want to hook a new generation on nicotine under the allure of safe smoking. The doctors network writing to the Prime Minister is associated with the Voice of Tobacco Victims (VoTV) campaign and they are distressed that some of their own fraternity are falling prey to the ENDS lobby. One group of such physicians with vested interests are taking words from reports of highly respected international health associations out of context. For instance, they say that that the American Heart Association (AHA) has said that e-cigarettes are “an opportunity for harm reduction” whereas AHA on their website clearly states that “e-cigarettes have dangerous highly addictive chemical, as well as toxins, metals and contaminants. Not only users but non-users around the ones vaping also may be exposed to these harmful chemicals through the exhaled vapour”. The Association further warns everyone not to be fooled when these newer nicotine products are marketed as being safer than smoking. It adds that these products should not be promoted as a safe alternative to smoking. The letter to the Prime Minister quotes a report by the US Food & Drug Administration (FDA) which stated that e-cigarette use in one year from 2017 to 2018, has increased to 78% among high school students and 48% among middle school students. The FDA reported that in the US, traditional smoking has been falling for years among teens. That trend continues as, according to the Centers for Disease Control (CDC), high school smoking fell from 15.8% to 7.6% between 2011 and 2017. However, ENDS popularity among teens has outstripped the reductions in traditional cigarettes as e-cigarette usage has risen from 1.5% to 11.7% over the same period.